Father of four children, Charles Henri Baker was a candidate for the 2010 Haiti election. He was born in Bourdon, Port-au-Prince and is now a proud husband, father and grandfather. He has the political party RESPE which is Regwoupman Sitwayen Pou Espwa. 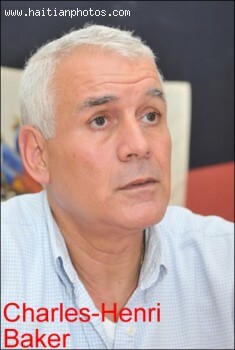 Charles Henri Baker is well known in Haiti for his integrity. His love for his beloved country of Haiti has inspire many people to to support him. In the 2006 election, he came third, behind Rene Preval and Leslie Francois Manigat.